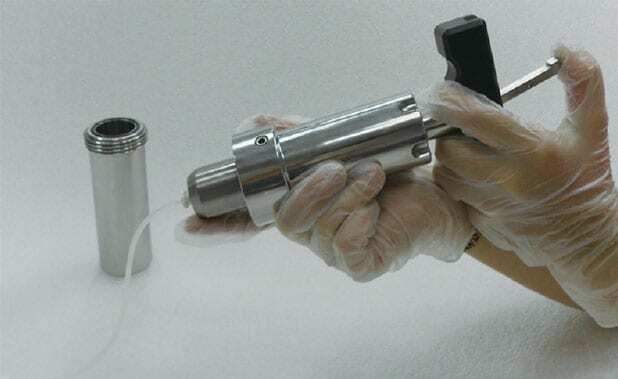 ADG-500 Vial and Syringe Dispenser | Capintec, Inc. 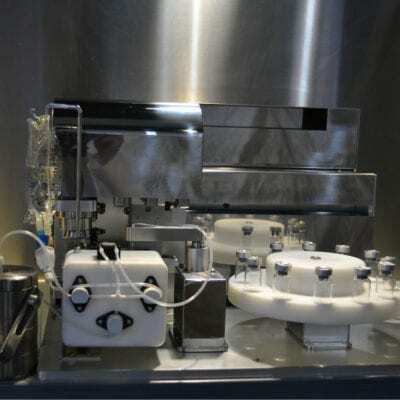 This Automatic Dispensing System is a stand-alone modular device with three components. These components are the pump and valve control unit, the mechanical control units, and the operating software. 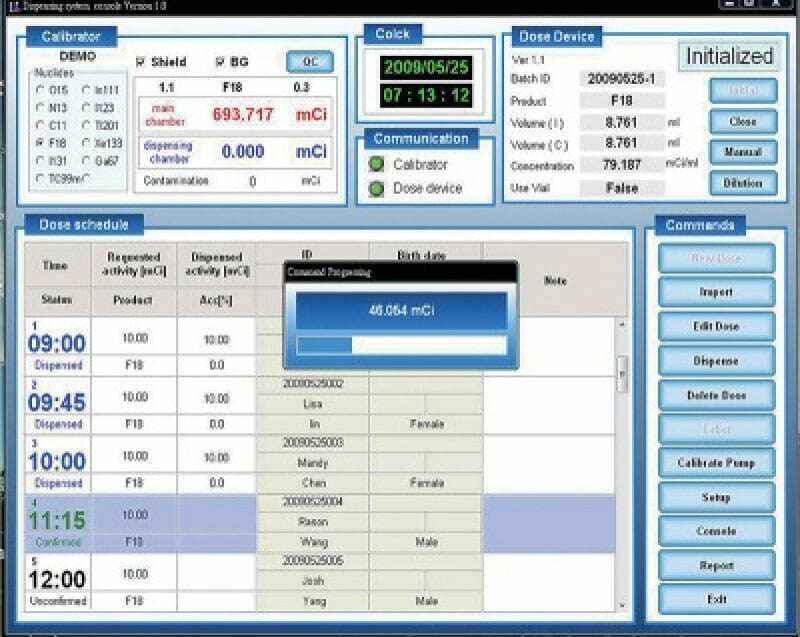 The automated functions include activity concentration, measurement and calculation, decay time correction, saline dilution, gas extraction, and patient data management. 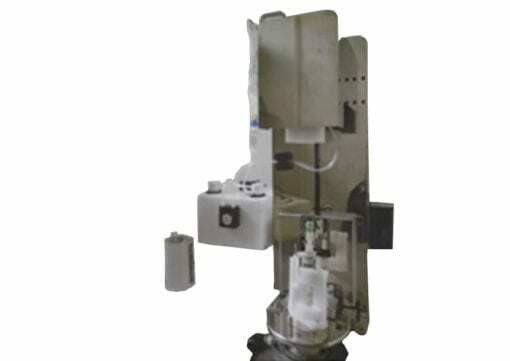 Dose measurement, decay correction, saline dilution, and gas extraction are achieved in one continuous step. The Accuracy is within 5% for total activity and within 5% for volume (less than 0.01 ml). Manages activity levels up to 2000mCi at a concentration of 130 mCi/ml. 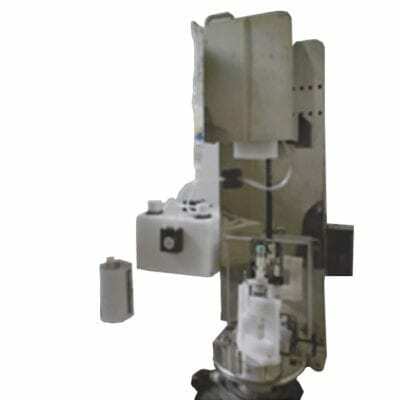 Less than 30 seconds is required for dispensing, dilution and gas extraction. Enables either one or two dose calibrators to measure activity in the mother vial and activity in the daughter syringe. 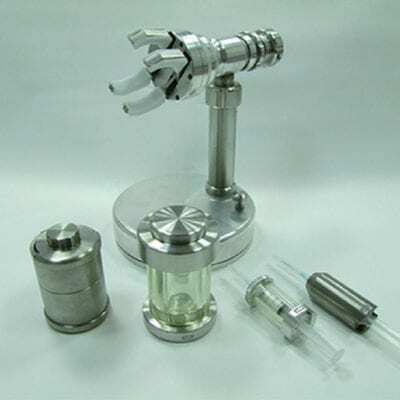 Performs decay time correction and activity calculation for both the mother vial and the daughter syringe dose. Performs volume calibration and activity concentration measurement for daily QC.